Today was perfectly timed to remind me of what I like about Tokyo. 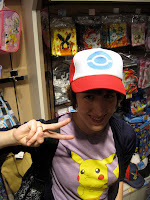 I went to the Pokemon Center Tokyo today for some nerdy, gettin'-in-touch-with-my-ongoing-childhood shopping. The highlights were suddenly noticing the Pokemon Center theme music from the video games playing in the background, trying on a baseball cap like the ones all of the Pokemon trainers wear, and taking a picture with Pikachu, who was dressed up in a cape for Halloween. The Pokemon Center didn't fulfill my secret dream of actually going on a Pokemon journey of my own in a magical, family-friendly alternate reality in the same way that I imagine a trip to the Harry Potter theme park would for a Harry Potter fan, and photos with giant Pokemon mascots can't quite fill the longing in my heart for a Pokemon partner all my own, but giving an awkward hug to Pikachu's mascot head and having the cameraman say "Pi-pika-pi!" instead of "cheese!" came close. It was also a lot of fun to see the sheer array of Pokemon merchandise that exists in the world. After we left the Pokemon Center, we discovered that right across the street was a beautiful garden that used to be part of a palace in the Meiji era. It was a strangely moving experience to walk around this garden and know that I'd been surrounded by tall buildings just moments before. Even though you could hear the sounds of the nearby trains coming and going, the garden maintained a peaceful feel that was well worth the 150yen admission fee. 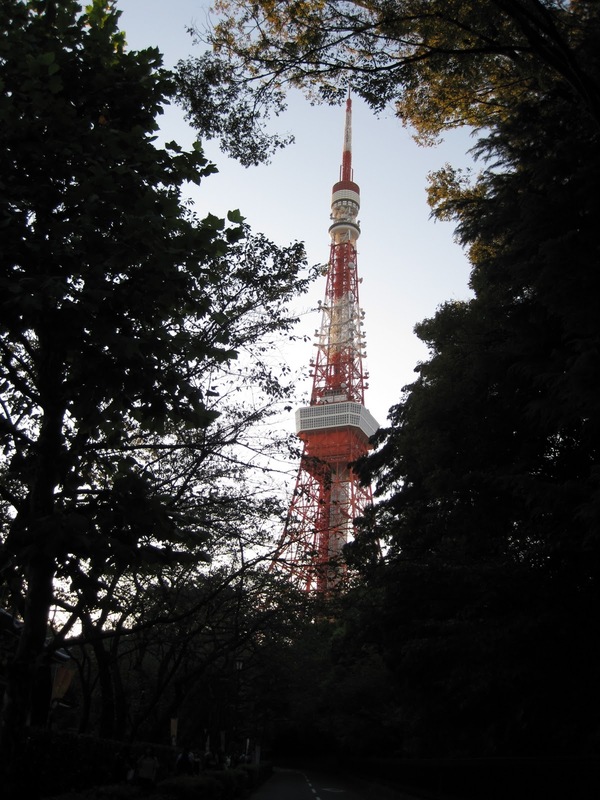 Then we realized we were really close to Tokyo Tower, so we decided to walk there, and found out that it overlooks a Buddhist temple. Where else can you find such a fascinating contrast?